I have used several of Mark's sessions on relaxation, stress management, and overeating. These have really helped me focus on calming my mind, and eating for health. The hypnosis is very relaxing, and helps me sleep better at night. Then, the suggestions kick in during the day, and I feel much more in control of my emotions. I would highly recommend giving his sessions a try. Five stars and great BIG kudos to Mark Bowden! His work has made a huge positive impact on my life! I am sleeping better than I have in years, courtesy of his 'Say Goodnight To Insomnia' program, which has had a positive effect on every aspect of my life. And after working with his 'Stress Relief' program for just one week, I am already approaching previously stressful situations with ease, equanimity, and effectiveness. Can't wait to try some of his other programs! 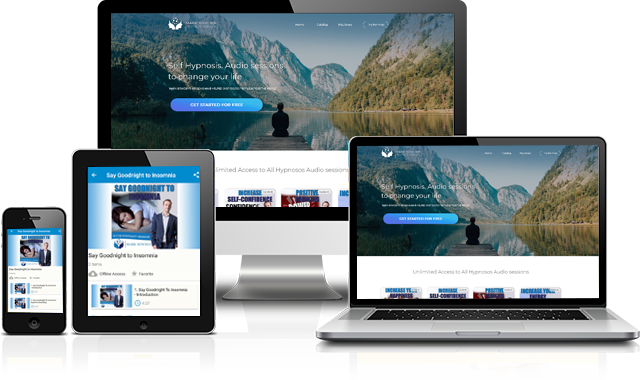 Mark Bowden is a qualified and experienced Clinical Hypnotherapist who's self hypnosis audios have reached over 100,000 people around the world in more than 40 different countries. He is dedicated to helping people to live a happier and more fulfilling life. The sessions are available on all iOS devices, Android devices, MACs, and PCs. Mark produces new sessions every month that are based on the latest cutting edge techniques to help you condition yourself to a happier and more fulfilling life. With our subscription you get access to all of these sessions.